“Video,” in this case, means not audio, nor transport. A “codec” is an engineering coupling of the words “coder and “decoder.” The duet within it implies the need to squeeze video down on one end, and un-squeeze it at the other end. Sort of like orange juice concentrate, but without the water. Advanced video codecs fit into cable’s “all-digital” conversations as an option (among several) for freeing up more bandwidth, once a channel is digitized. The logic goes like this: A piece of video encoded with the new stuff, at a rate of 1 Mbps (and dropping), looks essentially the same as a piece of video encoded with the existing MPEG-2 stuff, at 3.5 Mbps. So, a thinner stream works as well as a thicker stream to do the same thing. 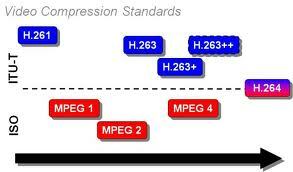 It doesn’t take much facial contortion to recognize both terms – “MPEG-2 Part 10” and “H.264” – as wondrously geeky. So they, the JVT, dubbed the video codec “AVC,” for “Advanced Video Codec.” I’m not sure what the rest of us are supposed to call it, but I get the impression it’s “AVC” or “JVT/AVC.” Although, if you say “H.264,” or “MPEG-4 AVC,” you’re in the zone. At a structural level, AVC isn’t much different from MPEG-2, experts submit. It’s all about removing the parts that are the same, from one frame of digitized video to the next. Turns out there’s lots of things that are the same, frame to frame, but we don’t notice them, because our eyes like movement better. To compress by removing repetition means you need solid, reliable reference points. In MPEG-2, and in AVC, there are two, sometimes three reference points: I (“initialization”) frames and P (“predictive”) frames, always. B (bi-directional)-frames, sometimes. Initialization frames are regularly occurring reference points that initiate a compression sequence. P-frames, true to their name, predict what the next frame will be, based on the sameness in the frame following the I-frame. B-frames look forward and back, to anticipate and build a forthcoming frame. That all remains true in JVT/AVC. What’s different is the way the squishing is done. Translating the details would assuredly elicit that “look at the time!” response – it involves venturing into the world of entropy coding and discrete cosine transform coefficients. Suffice it to say that JVT/AVC brings further efficiencies to motion compensation, artifact filtering, and about a dozen other compression-related processes, all of which lunge past the space limitations of this column. As reality goes, the advanced codec isn’t yet ready for primetime. Licensing remains a nightmare, with nearly two dozen inventor companies vying for a cut. Chip sets are in the works, but largely not encased in plastic gizmos yet. In the meanwhile, big software companies aren’t waiting. Microsoft Corp. and Real Networks, for example, are brewing their own implementations. This is what people are talking about when “Windows Media 9” enters the conversation. Keep two eyes on it. And, for cable, up-shifting to an advanced video codec like MPEG-4 AVC does (sigh) mean a new set-top box. Probably one that decodes both MPEG-2 and MPEG-4 video, initially. The point of advanced codecs is the bandwidth gains, especially as HDTV channels continue to heave their big, beautiful selves through the plant, to digital TVs. But know that the advanced codec is one part of a much larger scenario, which will undoubtedly unfold in different-but-similar MSO chapters over the next few seasons. In last week’s e-mail was a translation request from a reader named Arun, who wanted to know more about a way-techie term that tends to bump around conversations about cable modems and bandwidth guarantees. 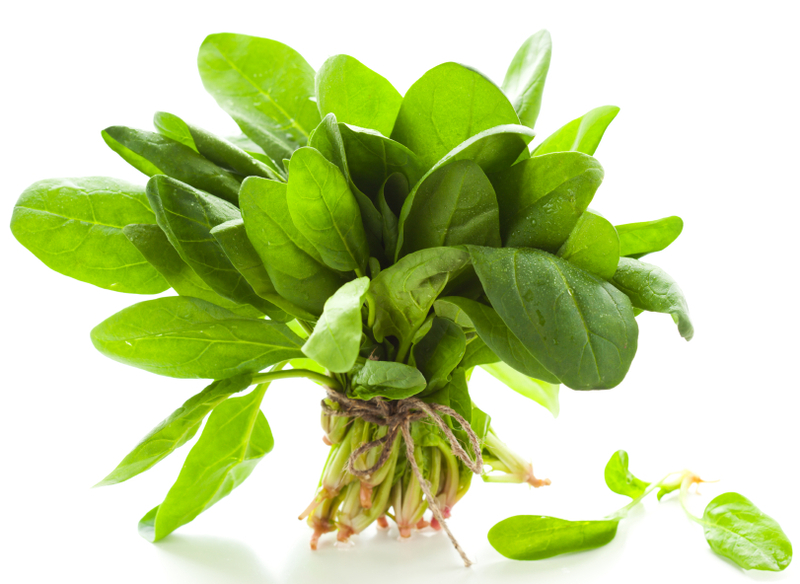 Spinach column alert! Eat it. It’s good for you. Technologists involved in the ongoing work of DOCSIS (Data Over Cable Service Interface Specification) say that P-QoS falls into the “oldie but goody” category. For the rest of us, it probably doesn’t sound all that familiar — which is further reason why P-QoS is this week’s translation. Understanding the different “grades” or “qualities” of service in a broadband Internet system starts with understanding what happens when there’s no QoS in place. No QoS is the same as “best effort” broadband Internet service. “Best effort” is what you get as one person with a cable modem, in a community where your neighbors are also using cable modems, and you’re all riding the same plant. Short of paying more for guaranteed levels of bandwidth, your modem gives you its best effort at getting your stuff through, quickly. The majority of cable’s broadband Internet customers get “best effort” service right now. Today’s bandwidth parameters are about upper limits: You get no more than X Mbps downstream, and Y Mbps upstream. Bandwidth guarantees, where you always get at least so much bandwidth, are a thing of QoS. The holy grail of QoS, for now, is “D-QoS,” or “Dynamic Quality of Service.” It lets cable operators nail up bandwidth to a broadband customer, on the fly. That means without having to download a new configuration file into the cable modem, then reboot the modem, to activate the new file. With D-QoS, bandwidth boosts happen in the background, without a download or reboot sequence. P-QoS sits squarely in the middle, between “best effort” and D-QoS. It doesn’t upshift customers to more bandwidth on the fly, but it does shift them to more bandwidth on a monthly billing basis. In part, that’s why it’s called “provisioned” quality of service. Recall: To provision is to activate an account for service, as automatically as possible. So, when a customer wants a fixed level of upstream and downstream bandwidth, likely for a higher monthly rate, P-QoS makes sure the bandwidth is there. The reason P-QoS is entering conversations now is the slow-but-steady rise of the commercial services, or “B2B,” market. When a small business calls, wanting to buy symmetrical T-1 service from a cable operator (that’s 1.5 Mbps downstream and upstream, at all times), something needs to be in place to set up those parameters. That something is P-QoS. P-QoS and D-QoS both fall under the wider, general category of QoS. This isn’t good-better-best, with QoS on the bottom, D-QoS on top, and P-QoS in the middle. When people talk about QoS, they’re usually talking generically about data service tiers. If P-QoS and D-QoS were terms that bumped around conversations about video, instead of broadband Internet, the scenario would go something like this: P-QoS would be the thing that lets people upgrade themselves to HBO or Showtime, for a higher monthly fee. D-QoS would be the thing that lets them magically watch that service in HD, for the duration of the show that’s being transmitted. Operationally speaking, P-QoS and D-QoS are different enough that it probably doesn’t make sense to hold off on one until the other is ready. Or, more specifically, holding off on P-QoS because D-QoS is better doesn’t quite make sense. Besides, P-QoS is already built into cable modems based on the DOCSIS 1.1 specification; D-QoS comes with DOCSIS 2.0. By now, you’ve probably come to the none-too-shocking conclusion that QoS isn’t the sexiest topic in the world. But, as this column has noted before, sometimes you have to eat your spinach before you can have dessert. Reader Arun, hope this helps.